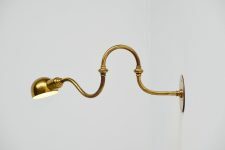 Very nice sculptural wall lamp model LP15 Tromba designed by Luigi Caccia Dominioni for Azucena, Italy 1964. 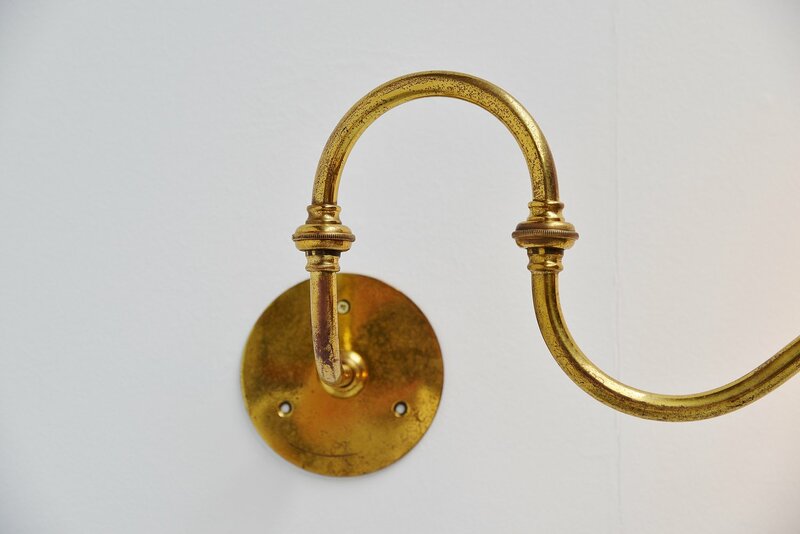 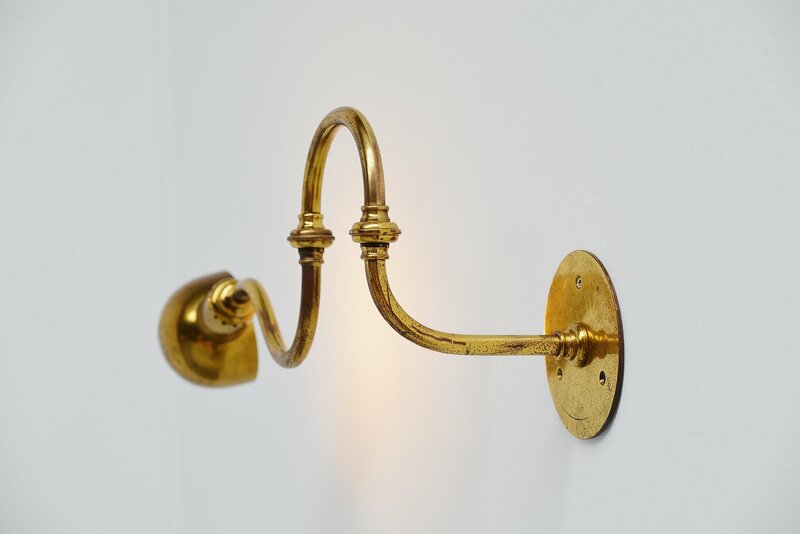 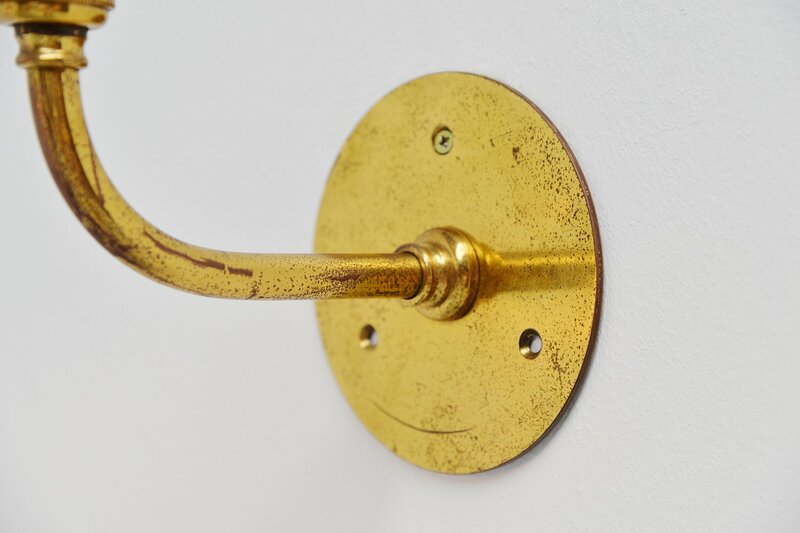 This adjustable wall lamp is a very nice and early production with the flat wall plate. Its made of solid brass and it has a very nice patina from age to the brass. 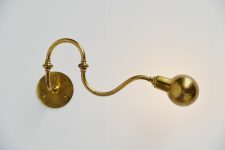 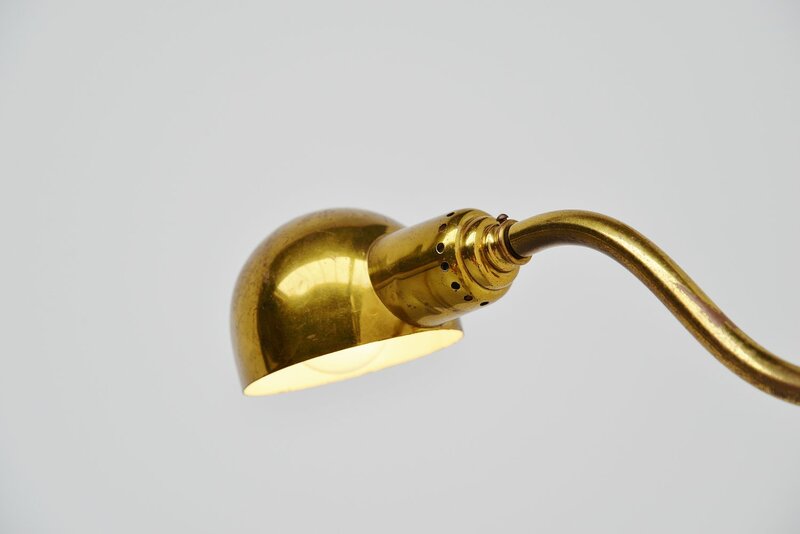 This lamp is easy to wall hang using 3 screws and is usable in many different positions.